[prMac.com] Hagenberg, Austria - Ergonis Software today announced the release of Typinator 3.4, the latest version of its highly acclaimed tool for auto-typing text and auto-correcting typos. The new version adds a number of user-requested features, like the option to temporarily suspend Typinator and to preserve the height of the set list when the window size changes. It also implements a new technique that allows Typinator to expand abbreviations in floating windows such as in Spotlight or in the quick entry windows of OmniFocus and TaskPaper. Finally, the new version includes a number of other improvements and fixes, including a problem that caused the memory requirements to grow over time. Typinator 3.4 requires Mac OS X version 10.4 or newer, Mac OS X 10.5 (Leopard) is recommended. Visit Ergonis Software's website to learn more about the changes in this release and to download and try the new version. Typinator can be purchased securely on the Ergonis Software website. 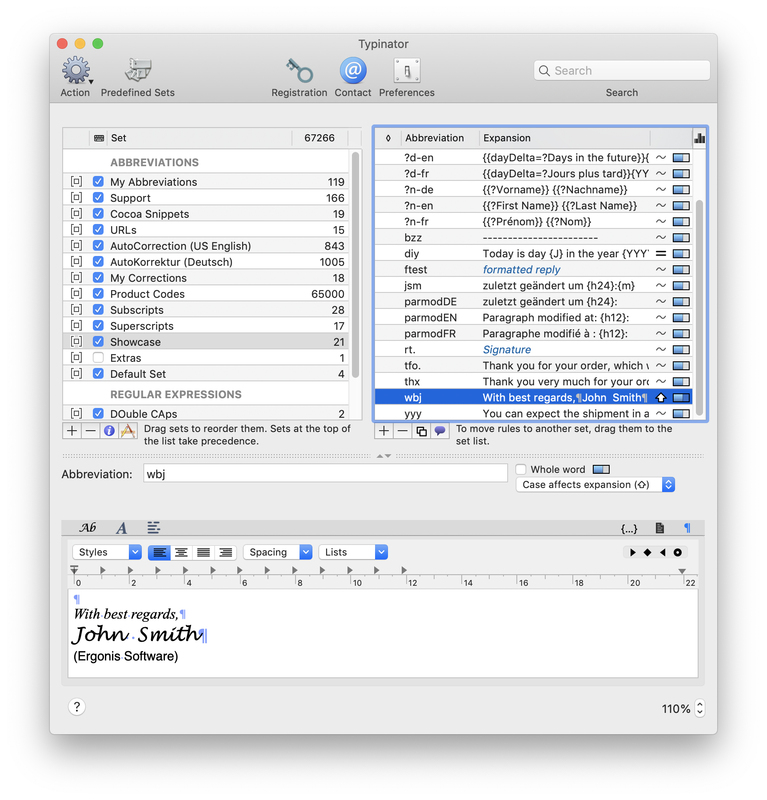 The upgrade to Typinator 3.4 is free for all customers who purchased Typinator in the last 2 years. For information about purchases, including enterprise licenses, volume discounts, and upgrade pricing offers, see the company's web site. Instead of purchasing Typinator by itself, customers can get the Macility Productivity Bundle that also contains two of the company's other productivity tools, PopChar X and KeyCue. The pricing of the Productivity Bundle represents a saving of more than 35% over the separate purchase of its components.